Despite inexplicably faking a knee injury during the 2018-19 basketball season, Sagaba Konate is the best shot-blocker in WVU history. Despite inexplicably faking a knee injury during the 2018-19 basketball season, Sagaba Konate is the best shot-blocker in WVU history. 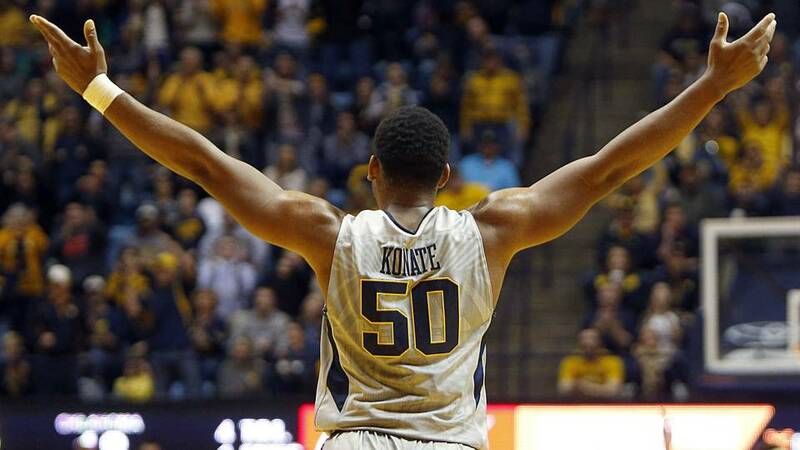 Bob Huggins recently announced that he’s working on getting Konate a redshirt for this past season. If the redshirt is granted, and it will be granted, Konate would have two full seasons of eligibility left. With Derek Culver and Oscar Tshiebwe controlling the paint, Konate would have the opportunity to work on his perimeter game on the offensive end. This, along with proving that he can get through an entire season uninjured, would go a long way in impressing NBA scouts. The last time we saw Konate was in December against Pitt, where he broke D’Or Fischer’s WVU career block shots record. If his knee were truly injured, there would be concerns about him returning to his old form, but because the injury was a complete farce there is no reason to think that he won’t be the same old Sags in the future. With Konate and Tshiebwe joining the current WVU roster, this team has top 10 and really, NCAA championship potential.